This is not to be confused with the “Pedal Wheelie” which is done properly (usually while climbing) by accelerating the bike forward by pedaling (among other things) to maintain or generate more momentum while the front wheel is, at the same time, elevated or lightened. 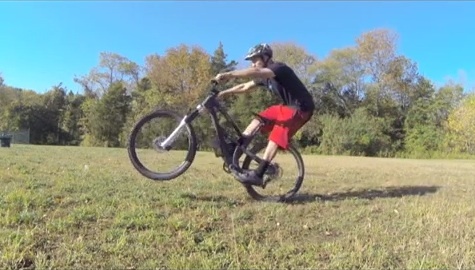 The Pedal Wheelie will be addressed in a future video. As stated in this video, this is by no means a substitute for real-time mountain bike instruction: communication, feedback, demonstrations, critiques, etc., are essential to premium instruction and coaching. Also, extremely important elements of the manual wheelie such as body position, weight placement, etc., are obviously not covered in depth here; and, without a clear understanding of these crucial building blocks of riding, no rider can expect to have a comprehensive understanding of this technique. This is simply a “tip” on some of the elements that are essential to riding the bike well and how they pertain to the Coaster Wheelie (often called a Manual Wheelie, or “manual”). Cornering on a Mountain Bike?